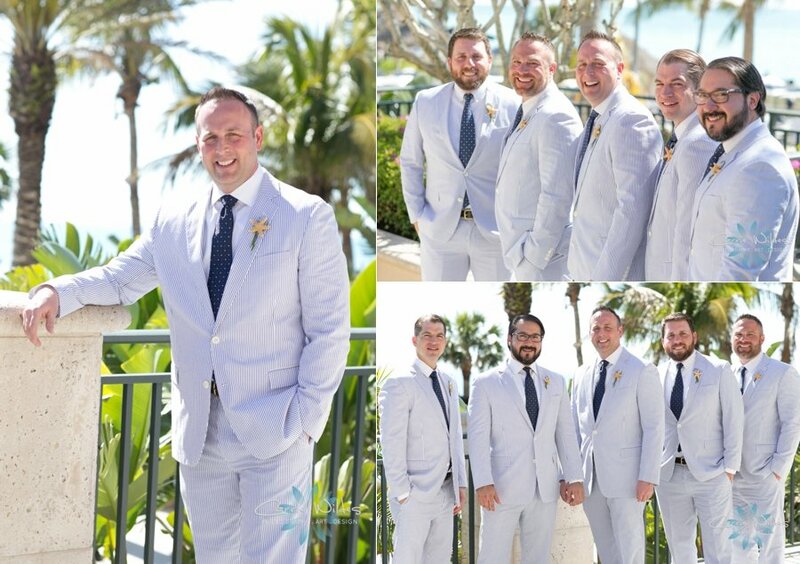 This sweet and fun wedding took place at the Ritz Carlton Beach Club Sarasota. 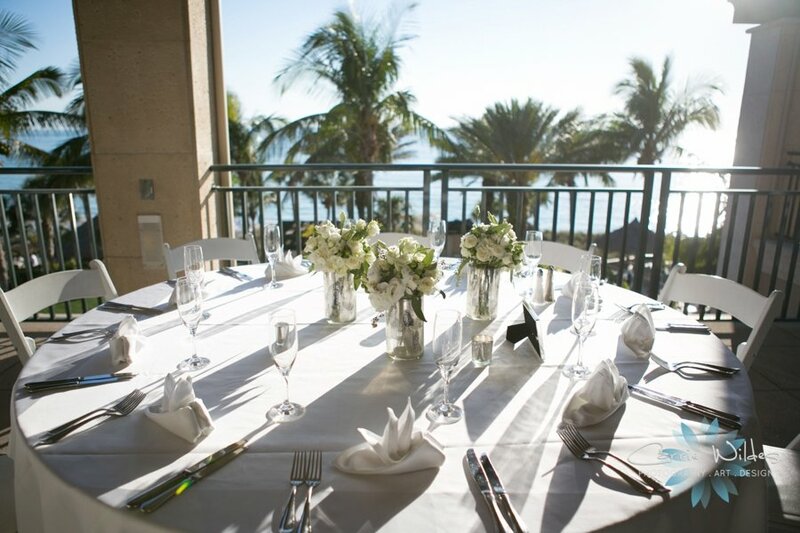 What a great setting for such a wonderful event! 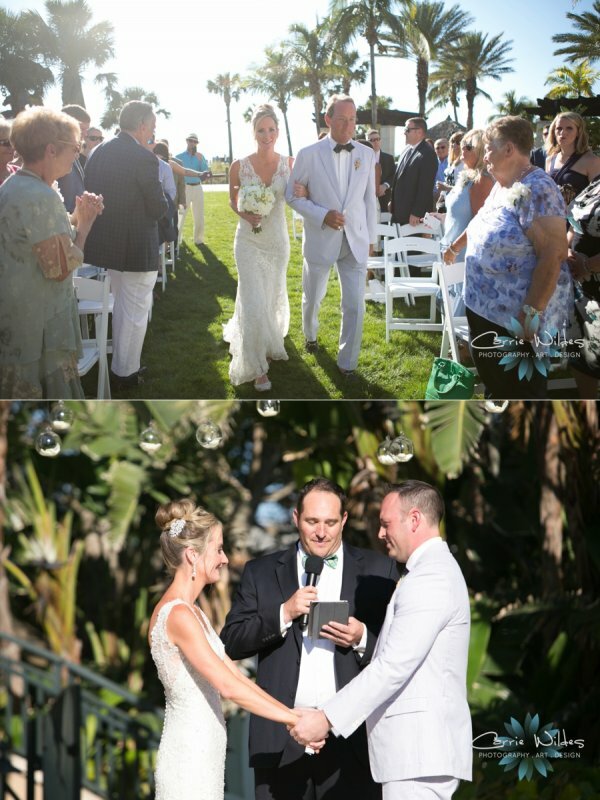 The ceremony was under the pavilion on the lawn and the reception was on their utterly gorgeous Sunset Terrace…and the cherry on the cake was that it was St. Patrick’s Day! Fun, right? 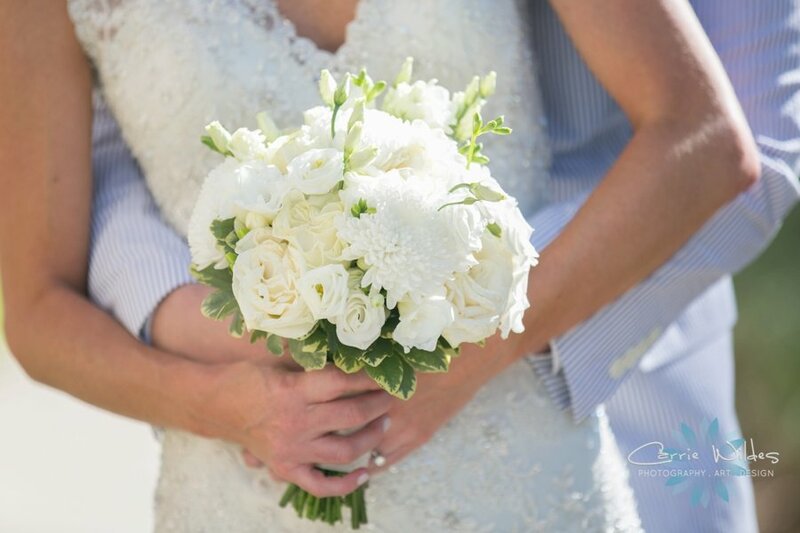 The bride’s all-white bouquet was a feast for the eyes and made up of dahlias, mums, roses and so much more! This created a lot of texture and lots of beauty! 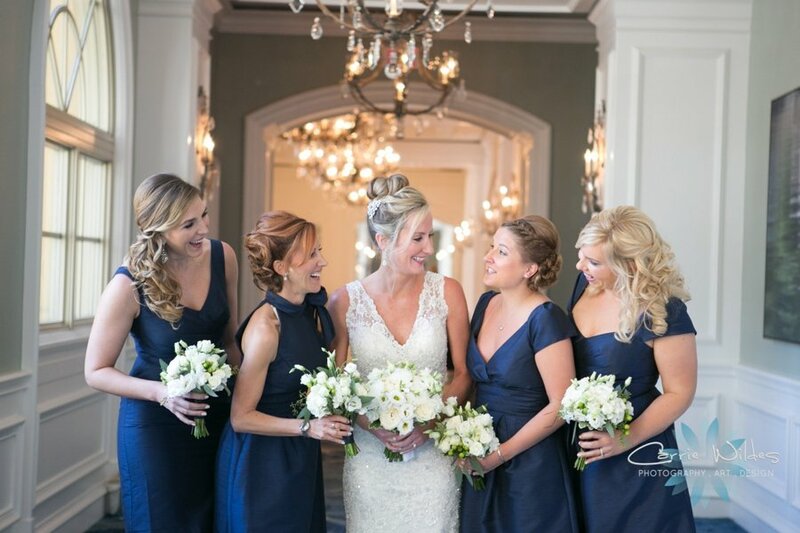 The bridesmaids’ bouquets were also all-white which was such a beautiful contrast to the their navy dresses. 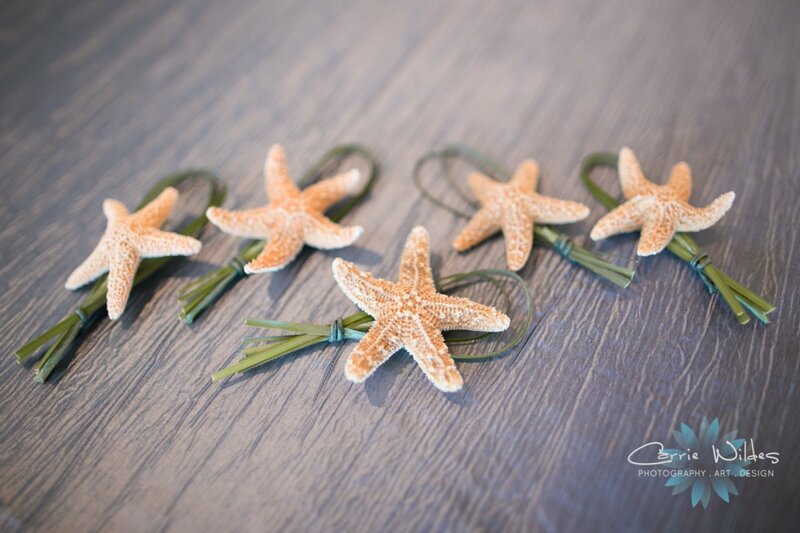 We incorporated lots of greenery in both to create the popular garden-look. 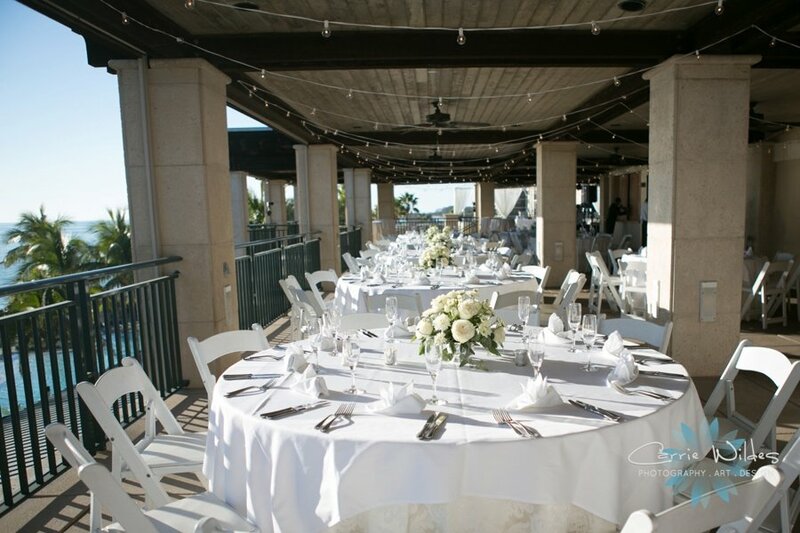 For the reception, we included silver touches by using silver footed bowls with garden flowers on half of the guest tables and a composite look of 3 arrangements on the other half of the guest tables. Plus, the bride’s and bridesmaids’ bouquets were placed down the head feasting table. 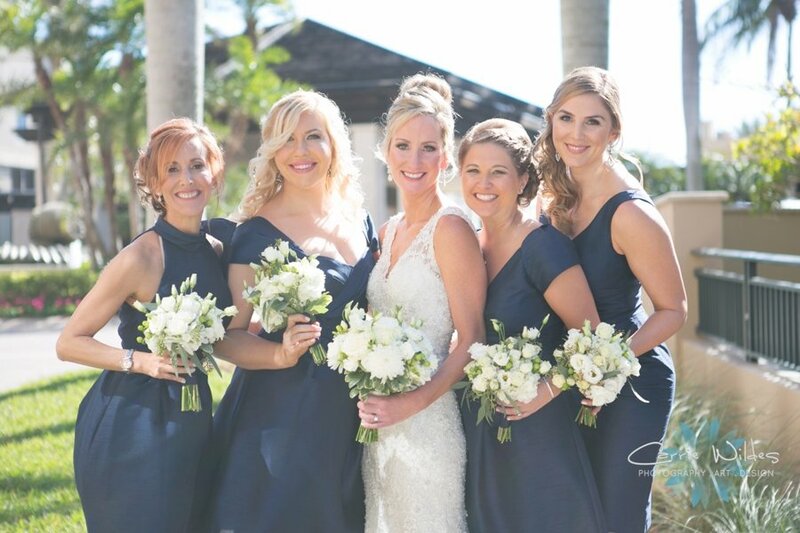 We LOVE when our flowers can serve double-duty! 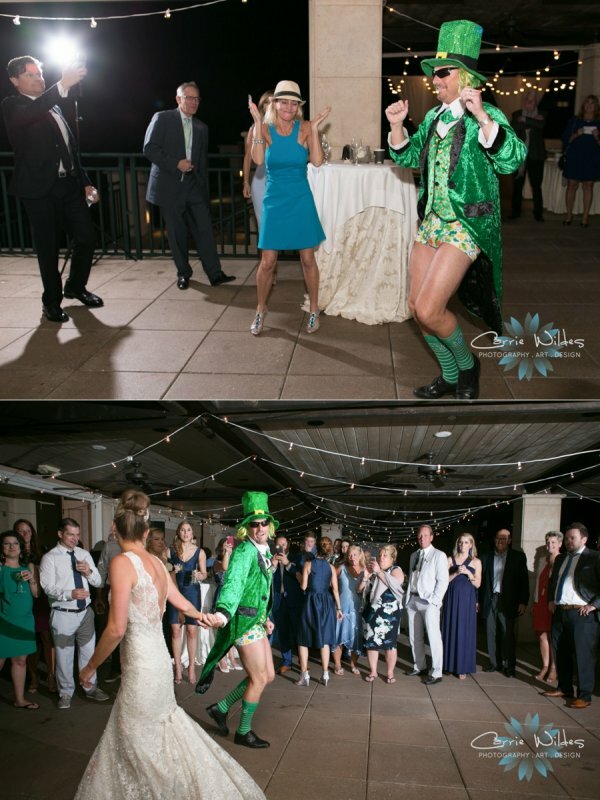 An added fun and whimsical touch of the evening was when one of their guests, in true Irishman fashion, dressed up like a Leprechaun and made his entrance during the dancing of the evening. 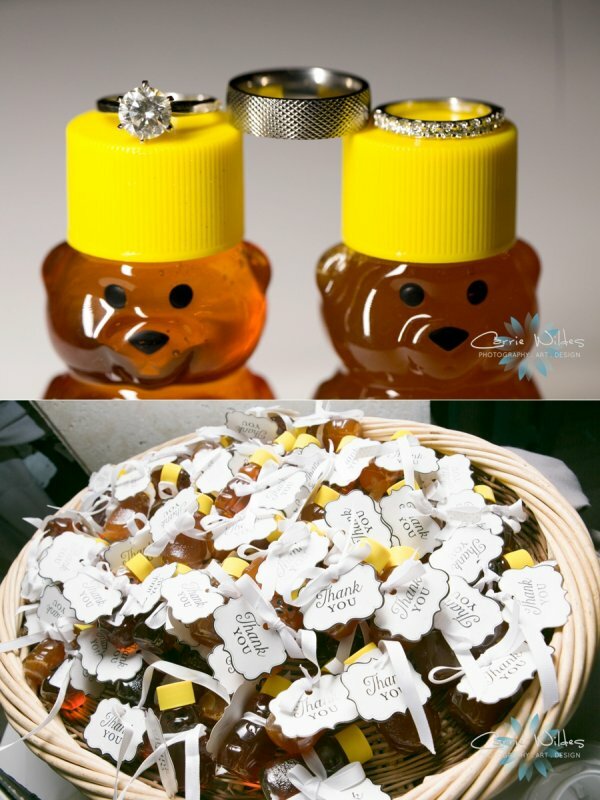 And honey wedding favors also added to the wonderful whimsy of this pretty Irish wedding! 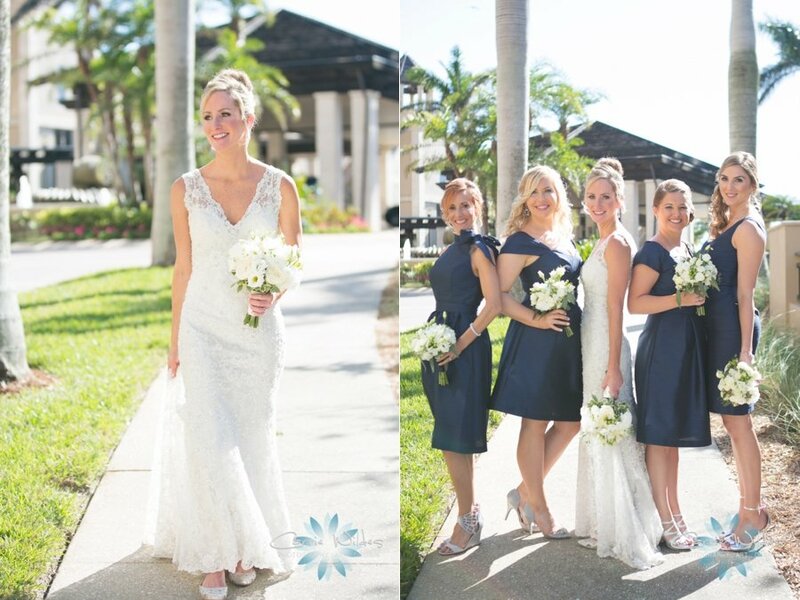 If you are interested in working with us to create your dream wedding, contact us right away. It would be our honor to work with you!